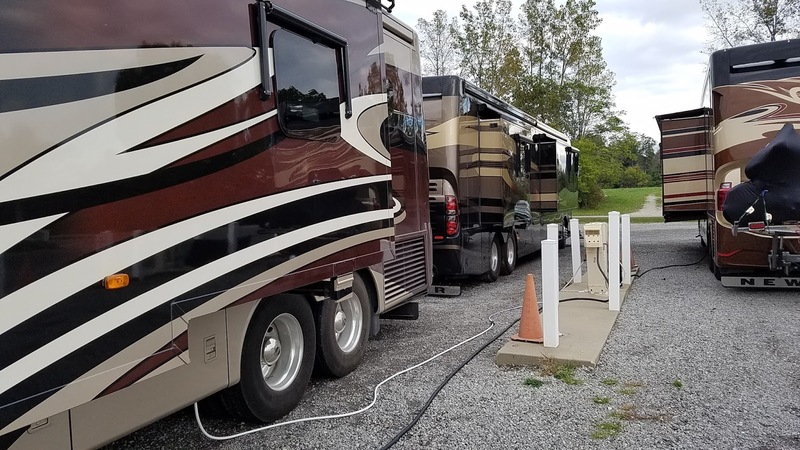 Tips about buying RVs, selecting and using lots of accessories and toys that go with the lifestyle, and detailed reviews of campgrounds we've stayed in. Our travel experiences (photos, etc.) are kept on a private Facebook page titled "Life in the Slow Lane". IF THIS IS YOUR FIRST TIME HERE, expand the Archives and browse from there! You may also use Search; check the top left bar on the site. Follow to receive notifications of new posts! *NEW* See below for a link to our new YouTube Channel! Our trip to Nappanee to have some work done on the coach will be described in two parts. 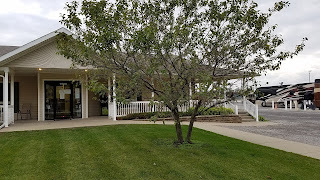 This writing will describe their parking lot areas, their facilities, and the service we received. Another post immediately following this one will relate all of our local experiences, including a description of Nappanee, restaurants and outings, and our tour of the Newmar factory. In other words, Part 1 talks about what we went there to do and Part 2 talks about what we did while waiting for the service to be completed. I'm not going to tell you how to get to Nappanee or the Newmar Facility - you have a GPS. When you get into Nappanee, you'll likely be on Highway 6. This is the main drag through town. When you see a big farm-looking building (Amish Acres), there's a road beside it called Arnott Street. If you're coming from the Elkhart area, you may even be arriving in Nappanee on Arnott Street, because it's also known as County Road 3. Turning off of Hwy 6 onto Arnott Street, you go until you are at the corner of Arnott and Cheyenne Streets. Newmar's Service Center is at this corner, and so is their full hookup (FHU) parking. There are three rows of parking: one row is RVs parked next to each other, some "pull-thru" and others back-in. The other two rows are "back-to-back". When you pull into one of these, be sure to leave room for someone to back in behind you. If there's no room in the FHU lot, you just keep driving down Cheyenne Street until the next road, which is Delaware Street. The corner of these two streets is where you'll find additional electric/water-only parking. All of these are back-in. The FHU lot beside the service center has 24 sites. These sites are clustered next to their Customer Lounge, which is open during the day and closed at night. However, you can get the door code from them so that you can go in after hours. The only problem with this is that they don't send you the code with your service material and no one is there on the weekend to give it to you. So if you arrive after 3pm on Friday, you're out of luck for after-hours access to the Lounge until Monday. The same is true for wifi. It exists, but you won't get the passphrase unless you arrive during working hours. 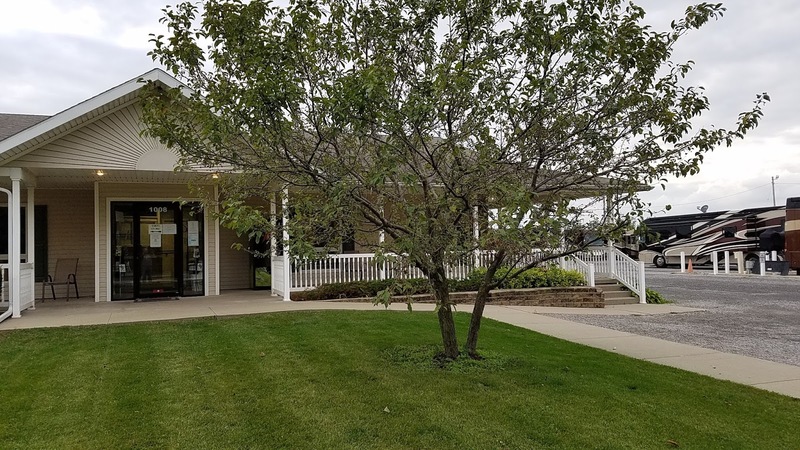 Like you'll find in campgrounds, the people in the lot are a friendly bunch and are willing to talk about anything - especially the reasons that brought them to the service center. As far as I'm concerned, this is good because you can get a lot of good info about what to expect. There is an open-top dumpster located behind the customer lounge. The two parking areas (FHU and electric/water-only) are very close together. Tours begin right across from the electric-only lot, and the Parts Department is next to the Customer Service lounge. We had heard all kinds of things about what to expect the first morning. 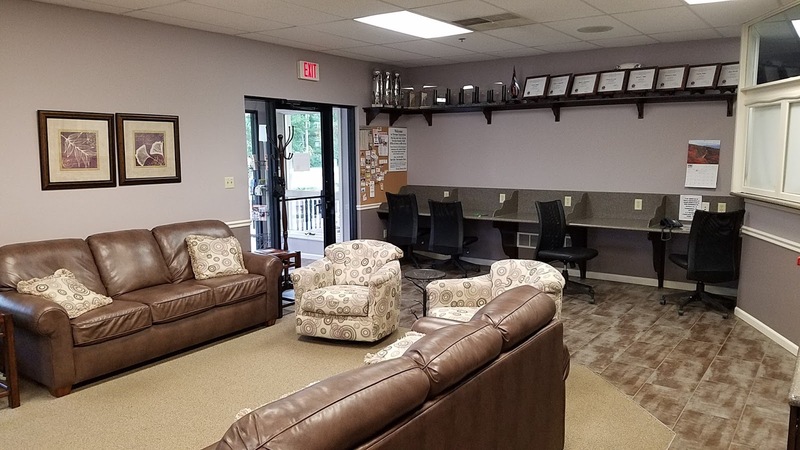 The papers that Newmar sends you before your appointment include a paper to put in your windshield so they can identify your coach and a little bit of information about the lounge, parts department, and the local area. Somewhere in the information, they tell you that a technician will probably be at your site at 6:15am. Everyone talks about getting up at 5am to be ready for them. We woke up at 5am and had our coach completely prepared (jacks up, slides in, aired up) shortly after 6am. Our assigned tech showed up around 6:20. 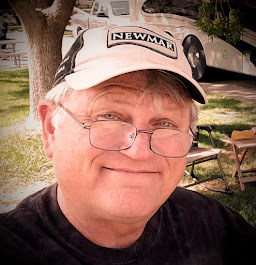 He explained that they were running a bit late because they had just returned from a trip to Pueblo (Newmar International Rally) and had to put some equipment away before going out to the coaches. To me, that meant that they normally show up at 6am. Our tech's name was Scott, and he took the time to go over everything that was going to be done to our coach, answer our questions, and tell us who to call if we needed anything. Then he told us which building the coach would be in. When we were finished, he made a brief inspection of the coach before pulling it out and driving it about a quarter mile down the road to Building 11. During our meeting with Scott, he told us that he expected to have our rig back in its parking spot around 2:15p. We went out to breakfast and then went to the Customer Service Lounge located beside our RV parking. Customer Service Lounge. FHU RV parking adjacent to the building. The Customer Service Lounge is nice. There are small desks with plugs to use for your laptops, free wifi and coffee, restrooms, plenty of seating, a soda machine (outside) and a couple of tables with puzzles and games. If you ask the person working at the counter, which doubles as the parts counter when you enter from a door in the next room, he'll give you a piece of paper with the combination to the door so that you can get into the Lounge after-hours. The same paper also shows the wifi password. 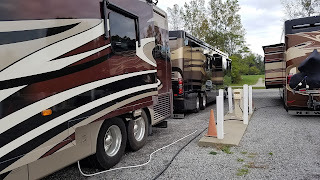 We made sure to return to our RV parking space by 2:15p, and the techs were already there parking the rig. They explained what they had done and answered our questions. We were told that they would be back at 6am the next day, so we should be up and ready. They parked, put out the slides, dropped the jacks, plugged in the electric and went home. The main reason we were at Factory Service was to have our upholstery replaced under warranty due to an issue where the piping was fraying. 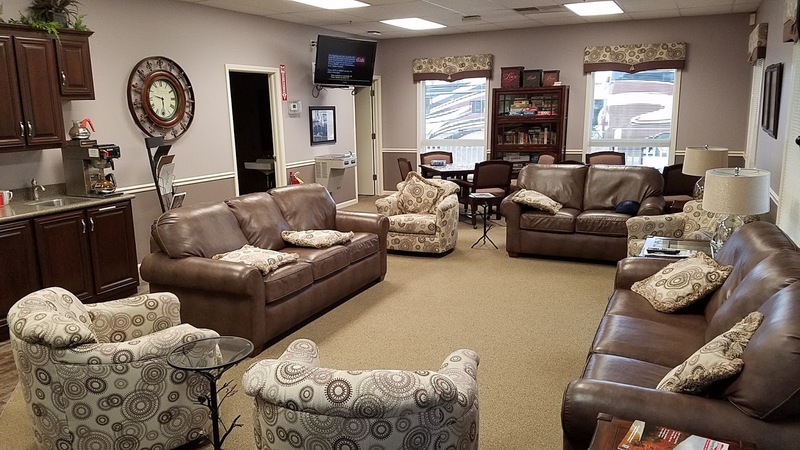 On the first day, they replaced the two recliners and the couch, but said that the driver and passenger chairs were being sent out and would not be back for 5-7 business days. Once we got the coach back after the next day's service, it would be sit-and-wait until the chairs were ready. On the second day, they had fixed a few more things (all minor) but had to order a few parts. 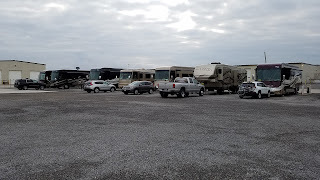 It was Tuesday, and they had brought the RV back to our parking spot (site) about 1130a. Since we weren't there to talk to them at 1130, I called the number they gave us to call if we had questions about our service. When the supervisor hadn't called back by 2pm, I called him back and was able to speak with him. He said that they had to order a few parts and that we wouldn't need to have another 6am pickup until Friday. Thus, Wednesday and Thursday were "days off" for us. On Friday morning, our tech (Scott) showed up shortly after 6am and went through everything with us. He told us that our chairs were in and that they were going to go ahead and install my cell booster antenna on the roof. 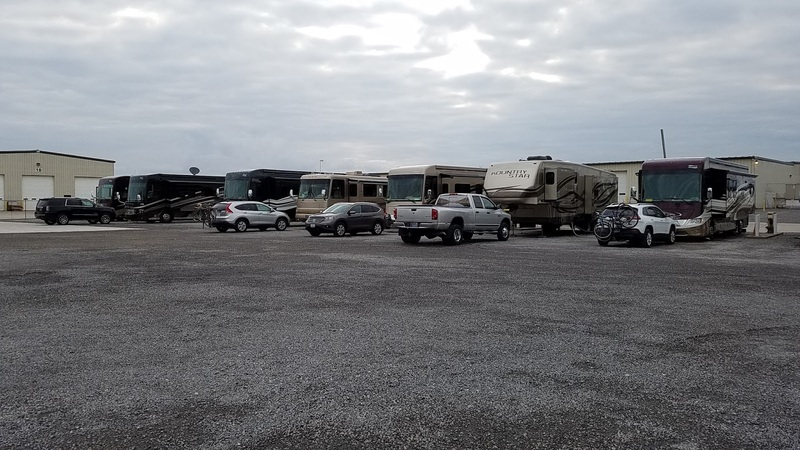 I hadn't expected them to do it because they were so busy, but the Newmar folks are quite accommodating and they do everything they can to help you out. It looked like we would have everything wrapped up by the afternoon and would be able to head out on Saturday morning. Shortly after 2pm, Scott brought our coach back to our parking space. They had completed everything, including the two captain's chairs. In addition, they had installed the cell booster antenna on the roof and fixed a small issue with our awning that they found. They also found a problem with the roof radio and CB antennas and fixed those. Newmar service is everything you've heard - and more. They accommodated our last minute requests, completed all warranty items, finished our 12-month checklist and took care of several "retail items" like the new lights in our pantry. I have a date on December 5th for service at the factory on my Canyon Star. Since Im only 3 hours from there and they will need it for a week I will just come back home and go back and get her when she is finished.